Cabinet of Curiosity Studio a local visual art, design & architecture partnership have designed a postcard unique to the Luton area of Chatham that asks local residents to share what they love about their neighbourhood. 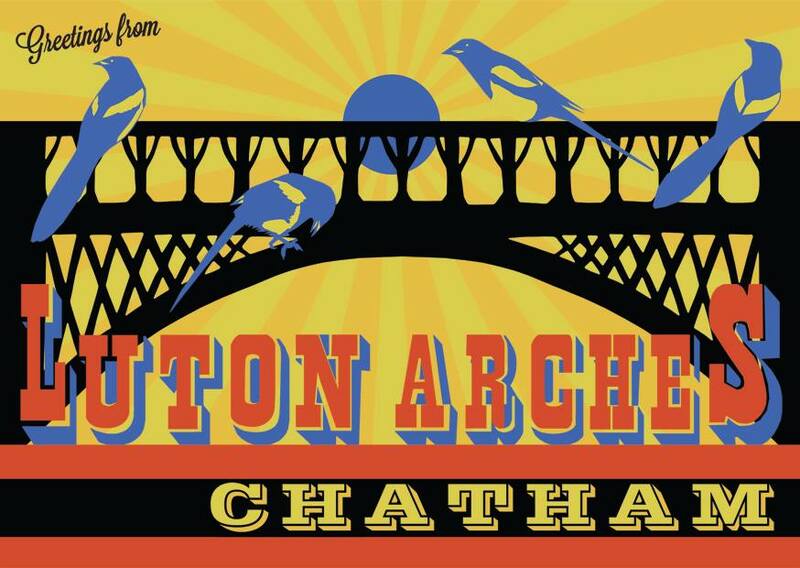 The postcard features the architecture of the railway arches that marks the gateway to the Luton district and Chatham; magpies that connect to the geographical location through street names, pub signs and the birds themselves that are a common sight in this town; and a design that draws upon vintage postcards. We are in discussions to commission our own Arches Local post card that we plan among other uses to send to the other 154 Big local area’s to update them on our journey and ask them what they are up to ? ← Magpie Centre and Community Cafe Opens !